Before Hurricane Harvey, U.S President Donald Trump canceled former President Barack Obama coastal flood protections that aimed to make infrastructure more resilient to the effects of climate change. Now, thousands of students are in limbo, not knowing what kind of situation they will have to deal with, after Trump decided to end the 2012 program implemented by Obama, the Deferred Action for Childhood Arrivals, also known as DACA. The program -which is a kind of administrative relief from deportation- was created with the purpose to protect eligible immigrant youth who came to the United States when they were children from deportation. DACA not only gives young undocumented immigrants protection from deportation, also a work permit is part of the program that expires after two years, and is subject to renewal. President Trump said that he will end the program by not accepting new permits and by allowing existing permits to expire with no opportunity to reapply. Obviously the news provoked negative reactions to the affected communities, who almost immediately made peaceful protests so that what was proclaimed by Trump did not take place. 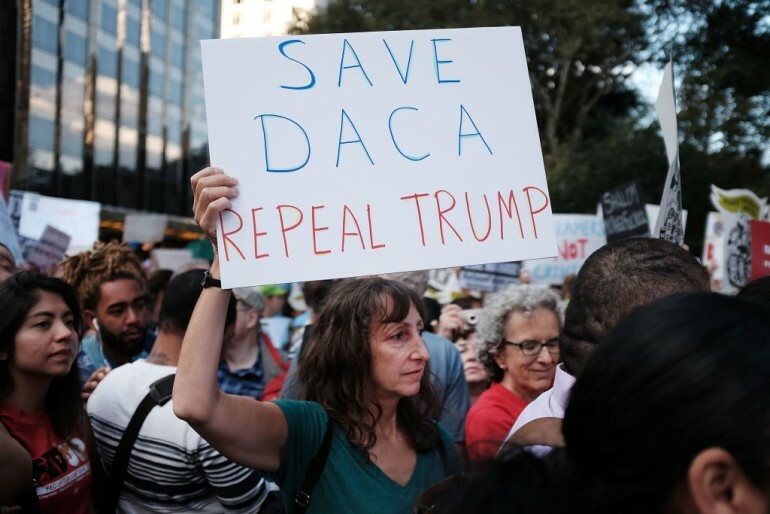 Since the very first day, politicians have been divided on immigration issues related to this American immigration policy, but under the presidency of Donald Trump, DACA has been under scrutiny. In a recent press conference, Sarah Sanders, who currently serves as White House Press Secretary, told reporters Thursday, August 31, that the president has not made a final decision on what will happen to the DACA program. Since the Dreamers are in the fate of the government, entrepreneurs and business leaders from across the country have released an open letter encouraging President Trump to preserve the program. "I stand with the Dreamers -- the young people brought to our country by their parents. Many have lived here as long as they can remember. Dreamers have a special love for this country because they can't take living here for granted. They understand all the opportunities they have and want nothing more than the chance to serve their country and their community. And Dreamers deserve that chance. These young people represent the future of our country and our economy. They are our friends and family, students and young leaders in our communities. I hope you will join us in speaking out," wrote Zuckerberg on his official Facebook page. Please find below the open letter than can be signed by here, only by individuals who are the CEO, General Counsel, or directly report to either on behalf of the Signatory. "As entrepreneurs and business leaders, we are concerned about new developments in immigration policy that threaten the future of young undocumented immigrants brought to America as children. We call on President Trump to preserve the DACA program. We call on Congress to pass the bipartisan DREAM Act or legislation that provides these young people raised in our country the permanent solution they deserve." It is unclear whether the Trump Administration will keep DACA and what it would do with the information collected through the program, but some universities will continue to assist with the initial application if a community member still wants to pursue an initial DACA application.